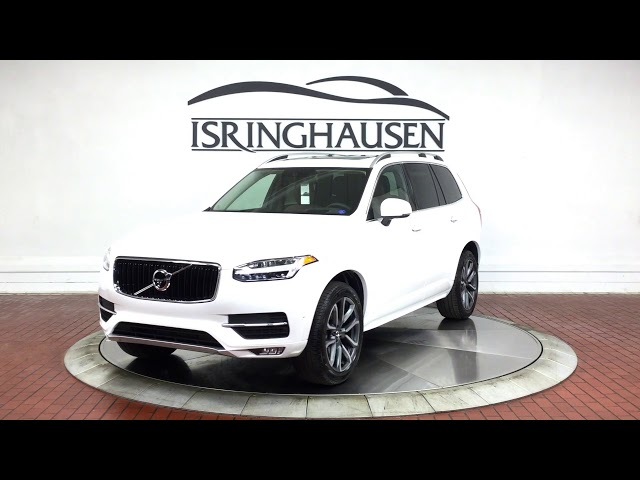 Factory options on this loaded 2019 Volvo XC90 T6 AWD Momentum include Advanced Package, Heated Seats & Heated Steering Wheel, Trailer Hitch, 20" Wheels and much more. The award winning XC90 now offers all new standard equipment while continuing to impress with innovative technology, superior quality, and tremendous value. Contact a Sales specialist by calling 877-362-9715. Isringhausen Imports is Central Illinois' premier new car, used car and certified pre-owned (CPO) dealership for quality BMW, Porsche, Volvo and Mercedes-Benz vehicles. At Isringhausen Imports, we have become a leader in the industry by working each day towards the greater good of our customers, our fellow employees, and our community. The Service is always friendly and impeccable. They try to find a solution to everything.